“True treasure comes when we use our resources in a way that honors our values and purpose." Most people have no idea what companies they own inside of their mutual funds (and might be surprised if they knew.) If that’s you, contact us for a free moral audit of your investments. You don’t have to choose between your integrity and profitability. Get the support you need to get to your next level of personal financial freedom. A little advice, encouragement, and education might just be the best way to invest in your success (even if you’re not ready to invest in securities). Rachel McDonough is passionate about helping people integrate Christian values into their investment and financial decisions. 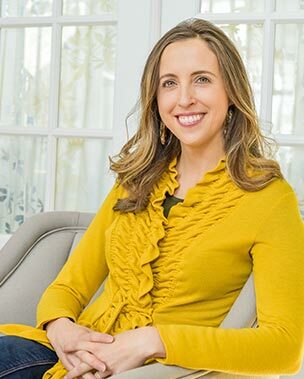 She has been certified as a Certified Financial Planner™ professional and a Certified Kingdom Advisor® and loves to come along side both clients and other advisors who want to put their faith into action in their financial lives. 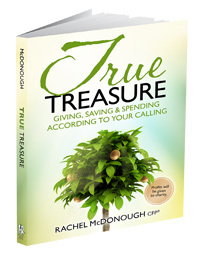 True Treasure helps you manage money with clarity and purpose, connecting money with meaning. You’ll be empowered to manage your money with confidence and conviction as you see the direct connection between your money and your values. Say goodbye to self-doubt, second-guessing, and regrets about money.